stores nationwide, as well as an eCommerce site! questions regarding their favorite topic… SPICES! What spices do you always recommend having on hand in your home? There are so many! It really depends on what kind of cuisine you like to cook. Warm spices, such as cinnamon, clove, allspice, nutmeg, and coriander. With that selection, you’ll be more than ready for any weeknight dinner. Are there specific spices that you recommend keeping whole versus ground? If you have the time, whole seeds are amazing because you can toast them and grind them at home, which maximizes their flavor. The flavor in whole seeds also stays fresher longer than ground seeds. Coriander, Cumin, and Fennel Seeds all benefit from this treatment. Otherwise, Dill Seeds and Mustard Seeds are great for making easy homemade pickled veggies or pickling the mustard seeds themselves. Are there specific spices/herbs that you recommend growing at home? Any that you use regularly! Fresh basil, mint, thyme, and cilantro are awesome to have at an arm’s reach. However, from late to Autumn to Spring, it can be hard to keep those delicate plants alive. Dried herbs do a pretty good job in the flavor department—bay leaves, thyme, rosemary, and oregano are especially potent in their dried forms, so those are definite staples for cold-weather meals. What are some hard and fast rules that you recommend remembering related to spices? Anything we should or should not consider when starting to use spices at home? We published a blog about a few tips when it comes to storing and using spices: namely, keeping them away from direct light, heat, and humidity. 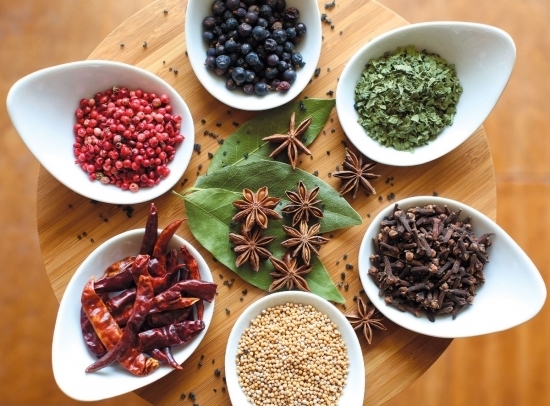 Other than that, cooking is all about experimenting, so try spices in all sorts of ways! So many people are scared to cook because they think they’ll mess everything up. There are very few rules to follow when it comes to your kitchen, and the only way to discover how you like to cook is to practice and break those self-imposed “rules." Are there any under-rated spices that you recommend we check our next time we come in the shop? Crushed Aleppo Chiles! They’re Crushed Red Pepper’s tangy, fruity counterpart and they truly deserve the spotlight. Sprinkle them on mangoes, add a tinge of heat to soups and curries, or add a finishing bright touch to pizza or your morning eggs. Also, umami-packed Tomato Powder. It can be used instead of tomato paste or puree, on popcorn, or even to make Bloody Mary’s on the fly. It really is a miracle ingredient that a lot of people don't know about! We have a class on the calendar this month surrounding East Meets West cooking. 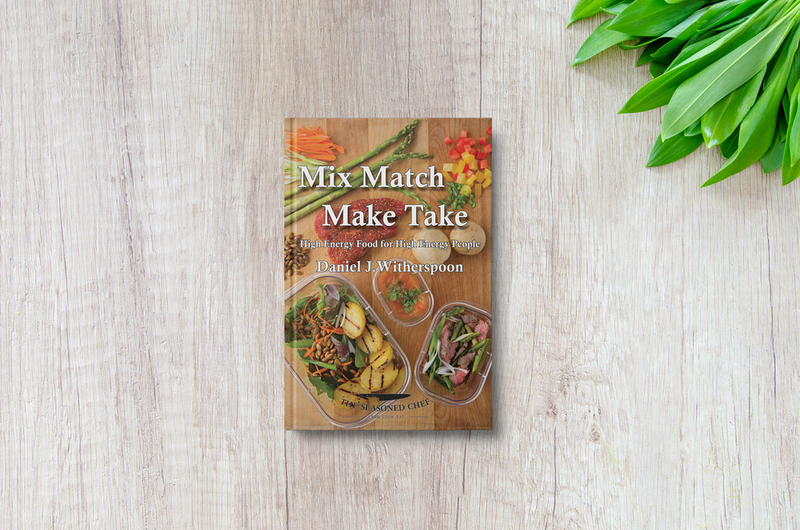 Wasabi, chili, and spicy citrus flavors abound in this course that combines new and exciting recipes that cross cultural boundaries. Sign up for this class and learn more here. Savory Spice is known for selling straight spices, as well as about 200 seasonings, many of which are ground and blended in-house. They also share all sorts of flavoring components in their shops too - extracts, sauces, soup bases and more. Mike is a bit of a mad scientist in the kitchen, so they are constantly adding new creations to our lineup. Like Chicharron Salt, the only seasoning of its kind. It's made with real pork rinds, unlike most bacon salts which are made with artificial flavors. And their lineup of Spice ‘n Easy packets are filled with just the right amount of custom seasoning blends to make a variety of family-friendly meals, snacks, beverages, and desserts. Mike and Janet would like to thank their unbelievable employees and franchisees, all of whom have truly dedicated themselves to Savory and its success. Then of course, there are their customers, many of which have been loyal since the beginning. There would be no Savory if it wasn’t for them.